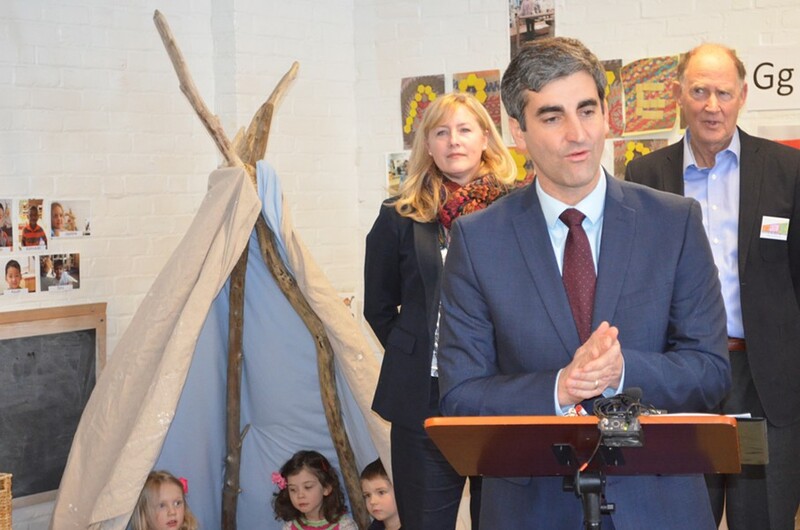 Mayor Miro Weinberger announces his early education initiative with Julie Coffey, executive director of Building Bright Futures, and Rick Davis, cofounder of the Permanent Fund for Vermont's Children. As his political opponents berate him for his plans to build up Burlington, Mayor Miro Weinberger spent Thursday afternoon discussing a different type of development — the cognitive kind, as it pertains to prekindergarten kids. For at least a month, the mayor has been alluding to an impending announcement about a "major early education initiative" in Burlington. Standing with Gov. Peter Shumlin, Chittenden County State's Attorney T.J. Donovan and a host of early education advocates, he revealed the details. A group of 16 people — including the city's police chief and its library director — will design a pilot program during the coming year to make early education available to more children. The program will include home visits to pregnant women and new parents, and early education scholarships for families that are at or below 185 percent of the federal poverty line. The results will be "rigorously collected and evaluated," according to the Weinberger administration. The Permanent Fund for Vermont's Children — a foundation led by Rick Davis — is supplying the $122,000 in start-up cash. Davis and other advocates have been involved in a statewide push to expand early learning opportunities for kids, and Gov. Peter Shumlin has championed the cause. 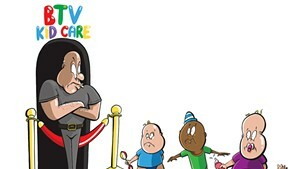 Organizers don't have all the pieces figured out — for instance, how they'll get funding for the rest of the initiative. Weinberger said, "I am confident that if we have a successful pilot program, we'll find a way to sustain it." In Burlington, between 150 and 175 children are born into poverty each year, the mayor said. Weinberger said he hasn't determined how many families will benefit from the pilot program, which won't start until the fall of 2016. He also released a white paper on the subject at Thursday's event. The mayor, who is running for a second term, said his inspiration for the project actually started during his first campaign, when he read Whatever it Takes, Paul Tough's book about an effort to improve opportunities for children in Harlem.